This season marks the third time in his 14 years with the Rangers that he - and the team - will not participate in the Stanley Cup Playoffs. GREENBURGH, N.Y.— Henrik Lundqvist never has wavered in his public desire to win a Stanley Cup as a member of the Rangers. But he acknowledged that he is unsure that his dream will become a reality. The Rangers are 30-34-13, 12th in the East and 26th overall ahead of Sunday’s matinee against the Flyers at the Wells Fargo Center. For the first time since the run of seven straight non-playoff years between 1997-98 through 2003-04, the Rangers will have not qualified for the Stanley Cup Playoffs in consecutive years. It is wholly unfamiliar terrain for Lundqvist, who was the the cornerstone of the Rangers squads which reached the Eastern Conference Finals three times in a four year span between 2011-12 and 2014-15. This season marks the third time in his 14 years with the Rangers that he — and the team — will not participate in the Stanley Cup Playoffs. The 2009-10 edition missed the playoffs by one point following a season-ending 2-1 shootout loss to the Flyers, who would go on to reach the Stanley Cup Final only to lose to the Chicago Blackhawks. 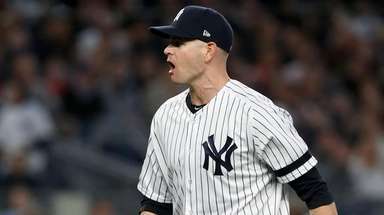 Last year’s squad finished 20 points out of the second Eastern Conference Wild Card berth following the organizational decision to part with older, expensive veterans. “It was mentally challenging I think for the group. But for me, too. I worked really hard to try and stick with it. That was the biggest challenge for [me] this year,” said Lundqvist, who will start Monday night against the Devils, coach David Quinn announced. Quinn said Alexandar Georgiev will start tomorrow’s matinee in Philadelphia against the Flyers. After Monday night, the Rangers will finish the season with games at the Garden against Ottawa on Wednesday and Columbus Friday, and at Pittsburgh Saturday. Lundqvist could play one of the two back-to-back games over the weekend, but it appears likely Georgiev will start three of the final four games. 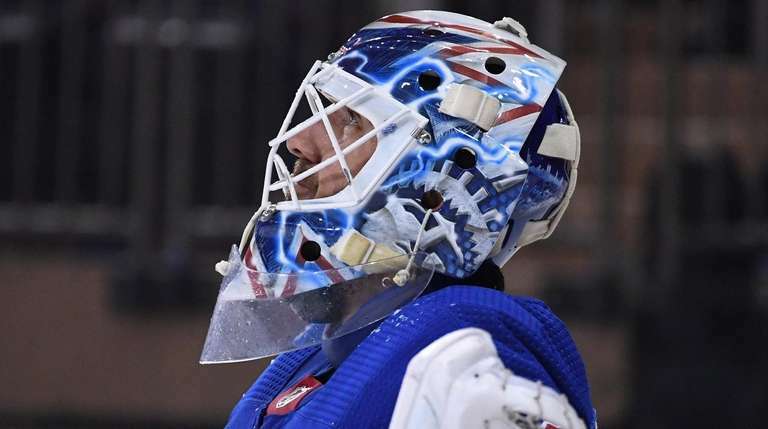 Lundqvist also noted he was going to take “a week, 10 days” to get away after the season ends before deciding if he will play for Sweden in the IIHF World Championships, which will be held in May. It is likely that Lundqvist will end up playing in the fewest amount of games in a non-lockout and non-injury shortened season. Lundqvist played in 43 games in the 2012-13 lockout-shortened season. A vascular injury limited him to 46 games in 2014-15, and a groin injury in 2017-18 limited him to 57 games. Lundqvist has played in 50 games this season, but only seven of the 15 games the Rangers have played following the Feb. 25 trade deadline. Overall, Lundqvist is 18-21-10 with a 3.05 goals against average and a .907 save percentage this year. He has a streak of having won at least 20 games in every season dating back to his rookie year. Notes: The Rangers announced the signing of free agent Patrick Newell. Newell played this past season at St. Cloud State University, where he recorded 21 goals and 26 assists for 47 points and was named as a finalist for the Hobey Baker Award.